As I wrap up my PhD program in construction management at the University of Florida, I find myself thinking about how unexpected opportunities can lead you down a path you didn’t even know existed. I grew up in Ibadan, Nigeria, leaving for the United States in 2014 in order to pursue an advanced degree. As the daughter of an architect, I saw firsthand the opportunities that this career presented and once I got to university in Nigeria, architecture was on my mind. As a field that has a well-regarded reputation globally, I was eager to follow in my father’s path. Yet fate had a different idea. I applied to the department of architecture, but in an effort to bolster numbers in the school’s emerging construction management emphasis, the administrators placed me into that track instead. Previously, I didn’t even really know this field existed and worried that pursuing a degree in this area offered fewer opportunities for upward mobility than something more familiar to me, like architecture. In the end, they gave me one year to try it out—and I’m so glad they did. I graduated with a Bachelor of Science in Building Technology with first class honors and in 2016 with a Master of Science in Construction Management. I’ve since interned at Autodesk, one of the lead software providers helping to digitize the construction industry, and acted as both a TA and lab instructor in Building Information Modeling (BIM) classes at my school. As I near the end of my studies, I’m also witnessing the evolution of an industry that has started to include more women, but that still has opportunities to attract more. It’s more than hard hats on dirty job sites: While to many, construction evokes images of men in hard hats, on dangerous job sites, handling intimidating equipment, I’m already witness to a transformation on the industry, as technology is changing the field and the career opportunities available. Increased digitization and advanced technology like AR/VR, robotics and 3D printing is transforming the industry, creating new types of roles. I basically get to play with “toys” at work. From robots to VR, I’m currently experiencing one of the least digitized industries evolves. Construction companies are looking for someone just like you: As of June, the BLS report showed there were 263,000 job openings in the industry. Further, a recent survey by the Associated General Contractors of America (AGC) and Autodesk showed that eighty percent of construction firms are currently unable to fill open slots with qualified workers. This is a field that will only be growing as more building is needed for a growing population. We are close to achieving pay equality: While room for improvement of course still exists, in construction, women make 95.7 cents for every dollar a man makes, compared to 80 cents on average (BLS). Don’t fear the robots: While conversations about robots taking jobs are on the rise, in reality, it will just be changing the jobs we have. We will be working alongside them, creating safer, cleaner and more interesting opportunities in the construction process. Construction is at an exciting point where technology is transforming the way we work and opportunities to take the field to the next phase are on the rise. I’m eager to enter into my career upon graduating this winter; won’t you join me? Fopefoluwa Bademosi is currently a Ph.D. Candidate in Design, Construction, and Planning at the University of Florida, majoring in Construction Management. 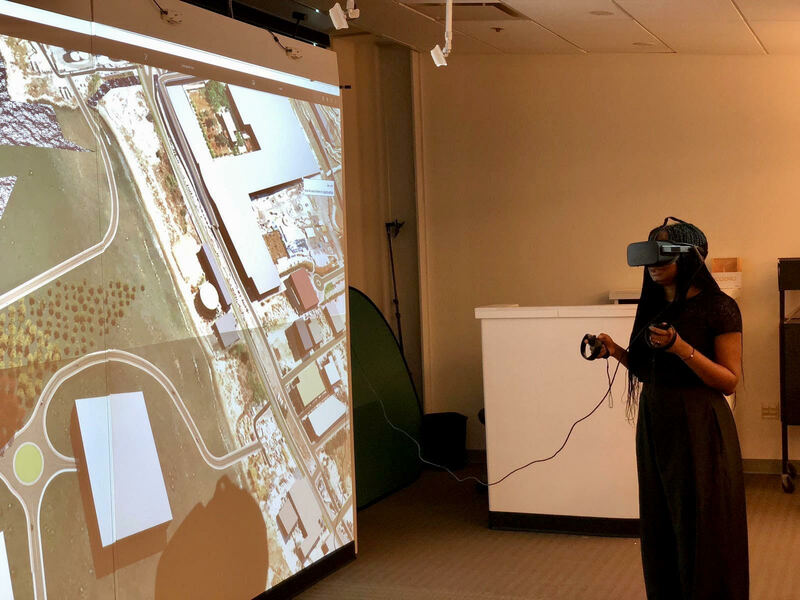 Previously she was an intern at Autodesk, researching industrialized construction and learning content to engage the next generation in the field. She also acted as both a TA and class instructor in Building Information Modeling (BIM). Fopefoluwa is originally from Nigeria.